Through almost 40 years of work, DAPP in Zimbabwe has developed a strong base as an organization in Zimbabwe. People and institutions have trust in the organization, its leadership and staff and consider DAPP in Zimbabwe a permanent part of the development picture. Before Independence, and before the creation of DAPP in Zimbabwe, its predecessor UFF in Denmark supported the liberation struggle by supporting the Zimbabwean refugees in Mozambique. In the early years after Zimbabwe’s Independence we were mainly involved in short term projects e.g. 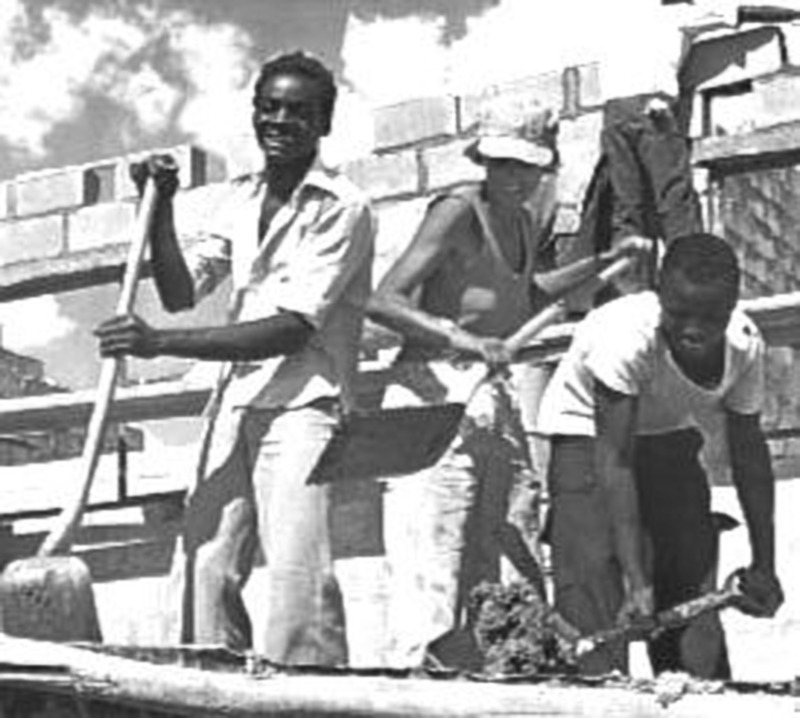 construction of schools and clinics and the establishment and forming of farming cooperatives on some of the commercial farms that were bought by the Government of Zimbabwe. Such projects were implemented all over the country and gave us the opportunity to get a broad knowledge of the variety and diversity of the nature, the opportunities, the people and their needs and the culture in the new and free Zimbabwe. More than 30 projects were carried out during the first 5 years of operation in Zimbabwe. One such project was the construction of the Chindunduma School together with 3.000 children and youth, who returned from the refugee camps in Mozambique. In 1985 DAPP in Zimbabwe took a new approach to its work and started more long term development projects. One such example is Ponesai Vanhu Technical College, which was constructed by DAPP in 1981. It has been training young Zimbabweans from all over the country in vocational skills and is still doing so. With the skills gained, the youth can fend for themselves through employment or by creating self-employment, and they become productive members of the society. In 1985 small scale industries were established at the centre. These were operated commercially for some years and provided funds to support the operation of the college and keeping the school fees at a level that the students could afford. It also provided the students at the College real life opportunities to practice their newly learned skills and to learn more about management. In 1986 DAPP started the Fundraising projects in Zimbabwe with a triple aim: to contribute to the economical development in the country, to give people access to affordable clothes of good quality, and to raise funds for operation of social projects – all through the selling of second hand clothes. Second hand clothes donated by people in Europe was shipped to Zimbabwe, sorted in categories here, and sold in retail outlets. This created direct employment with DAPP, and at the same time it also created employment in the informal trade sector. In the early nineties, DAPP expanded its activities into farming, further work within education, child development and later also into the fight against HIV/AIDS. We bought commercial farms in Shamva and started commercial farming as charity enterprises by establishing eucalyptus plantation and citrus production. Park Estate being one such farm was situated next to communal lands, and in 1993 we invited our communal neighbour farmers into the farm to teach them better farming methods using our newly gained experiences. It started a new kind of projects that later developed into a movement called DAPP Farmers’ Clubs, providing new skills and organization of production and marketing for small farmers in Zimbabwe. Soon after its start, this project had enrolled more than ten thousand farmers in the Mashonaland Central, Mashonaland East, Mashonaland West and Harare provinces. During the nineties the HIV/AIDS epidemic became a threat to mankind, especially devastating to the peoples of southern Africa. 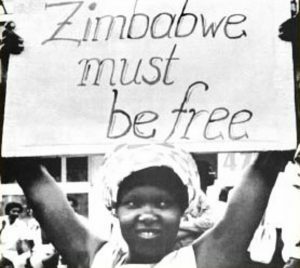 Zimbabwe was hard hit, and within few years the HIV prevalence rate increased to reach a level as high as 30% among the adult population in the mid 1990-ies, DAPP in Zimbabwe and other members of Humana People to People declared war on HIV/AIDS. HOPE Humana People to People started in 1998. Based in Bindura, the provincial capital of Mashonaland Central, HOPE carried out activities to deal with the consequences of HIV/AIDS and offer Voluntary Councelling and Testing (VTC) services to the people in and around the town. In year 2000 another HIV/AIDS programme was developed based on the understanding that “only the people can liberate themselves from AIDS – the epidemic”. There was need for a programme that systematically reached out to each and every individual to take the fight to a new level in order to stop the spread of HIV. Total Control of the Epidemic, TCE, has since expanded not only in Zimbabwe, but to 10 other countries reaching close to 10 million people on a one to one basis. TCE has proven to be an efficient programme because it mobilizes each and every person to take control of the HIV situation, whether in regard to stop the spreading the disease, caring for the sick or in other ways alleviating the consequences of the epidemic. TCE has also increased the experience and capacity of DAPP in Zimbabwe because of its systematic approach, its intensity and its outreach. In 2006-2009, 18.000 communal farmers have been trained in a 3 year programme in conservation farming and have organized around improving their production and around improving the conditions in their communities. Many Zimbabweans have been trained to contribute professionally to development work, and DAPP is proud to have supported development projects in other Humana People to People organizations in the region and further abroad with capable and committed Zimbabweans, of which many have got leading positions. We have also seen the return of Zimbabweans who have worked in other countries for some years, and we have seen how the international experience has strengthened their capacity. During the past 10 years, DAPP in Zimbabwe has continued operating within agriculture and rural development, HIV/AIDS and education. We have seen it as a contribution to stability to keep up the work, and we have recognized the necessity of increasing the efforts to support development. The training of farmers has been a strong and growing element, with the programmes being adapted to the changing situation for farming in the country. In the early years after Zimbabwe’s Independence we were mainly involved in short term projects e.g. 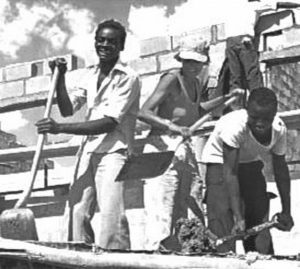 construction of schools and clinics and the establishment and forming of farming cooperatives on some of the commercial farms that were bought by the Government of Zimbabwe. These projects were implemented all over the country and gave us the opportunity to get a broad knowledge of the variety and diversity of the nature, the opportunities, the people and their needs and the culture in the new and free Zimbabwe. More than 30 projects were carried out during the first 5 years of operation in Zimbabwe. One such project was the construction of the Chindunduma School together with 3.000 children and youth, who returned from the refugee camps in Mozambique. In 1985 DAPP in Zimbabwe took a new approach to its work and started more long term development projects. One such example is Ponesai Vanhu Technical College, which was constructed by DAPP in 1981. It has been training young Zimbabweans from all over the country in vocational skills and is still doing so. With the skills gained, the youth can fend for themselves through employment or by creating self-employment, and they become productive members of the society. Over the next years, DAPP in Zimbabwe was able to expand its activities substantially because of the clothes sales. An additional effect of the trade was that DAPP project leaders and staff got exposed to operate a commercial venture providing them with valuable skills within economy and management. In the early nineties, DAPP expanded its activities into farming, further work within education, child development and later also into the fight against HIV/AIDS. We bought commercial farms in Shamva and started commercial farming as charity enterprises by establishing eucalyptus plantation and citrus production. Park Estate being one such farm was situated next to communal lands, and in 1993 we invited our communal neighbour farmers into the farm to teach them better farming methods using our newly gained experiences. It started a new kind of projects that later developed into a movement called DAPP Farmers’ Clubs, providing new skills and organization of production and marketing for small farmers in Zimbabwe. Soon after its start, this project had enrolled more than ten thousand farmers in the Mashonaland Central, Mashonaland East, Mashonaland West and Harare provinces. In 1990 Park Estate became the home to a new training institution in Zimbabwe called Frontline Institute. Frontline Institute was first established in Denmark in 1985 to train young people from the Frontline States. In 1990 DAPP in Zimbabwe was asked to establish a similar institute here, to give access to many more people to learn project management skills in an international environment. Over the years since then, thousands of participants have been trained at Frontline Institute. The participants are project staff coming from the many member associations of Humana People to People worldwide, and because of this training quite a few advance and develop into being project leaders. In 2006-2009, 18.000 communal farmers have been trained in a 3 year programme in conservation farming and have organized around improving their production and around improving the conditions in their communities. Many Zimbabweans have been trained to contribute professionally to development work, and DAPP is proud to have supported development projects in other Humana People to People organizations in the region and further abroad with capable and committed Zimbabweans, of which many have got leading positions. We have also seen the return of Zimbabweans who have worked in other countries for some years, and we have seen how the international experience has strengthened their capacity.